Irion Vertriebs GmbH, a German based manufacturer of dispensing tools and foam gun products worldwide, recently announced the launch of Irion- America, LLC (www.irion-america.com), a United States based sales and distribution subsidiary. Irion-America was formed in July 2017. 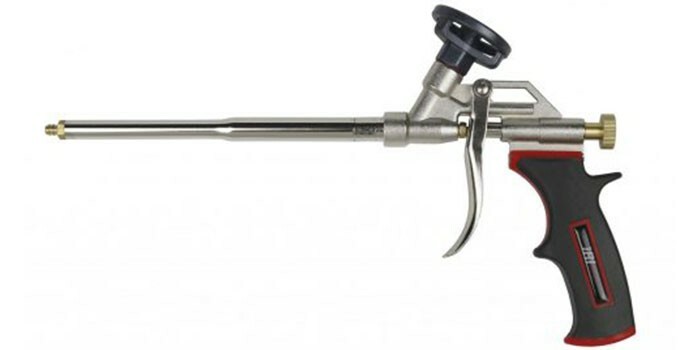 As a manufacturer of high quality polyurethane foam and caulking guns, Irion-America is now stocking these elite products in the United States. This allows for a superior line of applicators to be delivered within a few days to North American customers. Last year alone, Irion sold over 3 million foam and 3 million caulking guns worldwide and expect that number to significantly increase because of the demand in this market. In addition, due to climate change and potential environmental rules and regulations, residential houses and industrial buildings may need to be insulated in a more professional way. Conventional technologies such as nailing and stapling are being replaced by gluing and bonding with polyurethane foam as well as innovative adhesives and sealants of which Irion has developed special guns. Irion has been a premier producer of high quality caulking and PU foam guns for more than 20 years. The combination of German engineering and on-site quality control along with the most cost effective manufacturing process has made Irion products number one in the global market. Irion's production facility in Shanghai, China operates under the strictest test standards maintaining certificates. Having all our operations from manufacturing through distribution in one company provides unique capabilities for creating customized features and private label products as well as reducing costs and delays. Irion is strongly committed to sustainable, environmentally friendly technologies and fair treatment of employees. Their expertise is appreciated by retailers and specialized wholesalers both nationally and internationally.